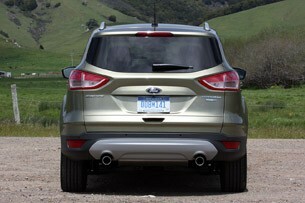 Autoblog rating for the Ford Escape is not available. Please check back later. In the music industry, a band's third album is typically make-or-break. You start with the debut album, introducing the general public to the band's polished works, then comes the sophomore record, which proves whether or not the band can keep its fan base happy and gain more traction in the music scene. But the third album must show if that band's sound and style has a good enough mix of individual flare and mainstream appeal to keep them successful in the long-run. If you think about it, the same can be said about the automotive landscape, and for the purpose of this review, the Ford Escape. The first-generation Escape, launched in 2000 as a 2001 model, entered during a time when small SUVs and "cute-utes" were booming. 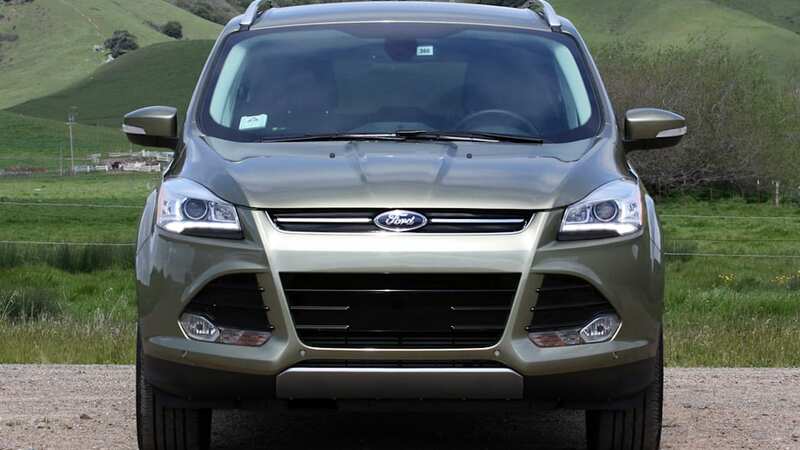 The redesigned 2008 Escape built upon the first model's success, and now, as the curtain is about to close on that ruggedly handsome, boxy Escape, this new third-generation model has some mighty big shoes to fill. 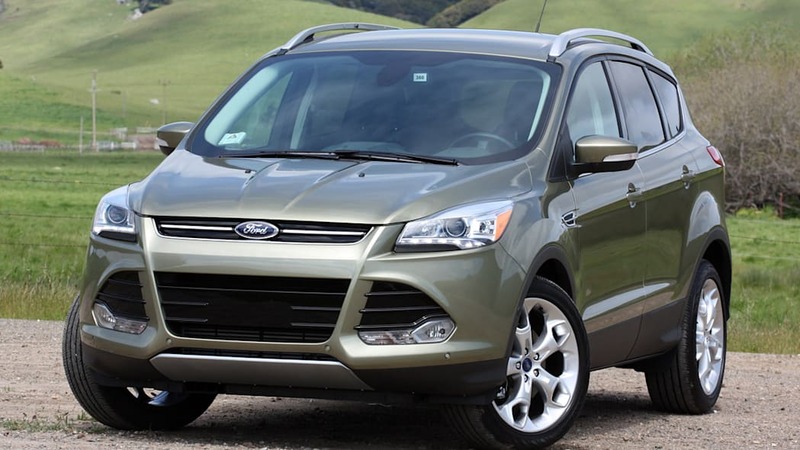 Over the past year, the Escape has been an absolute sales superstar. 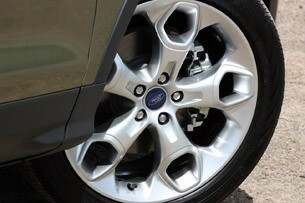 In 2011, Ford moved over 254,000 of the compact crossovers – a 33-percent gain over 2010's numbers. To get an idea of just how impressive that is, know that in the same timeframe, Honda moved just over 218,000 CR-Vs, while Toyota sold 137,000 RAV4s and Chevrolet hustled around 193,000 Equinox models. 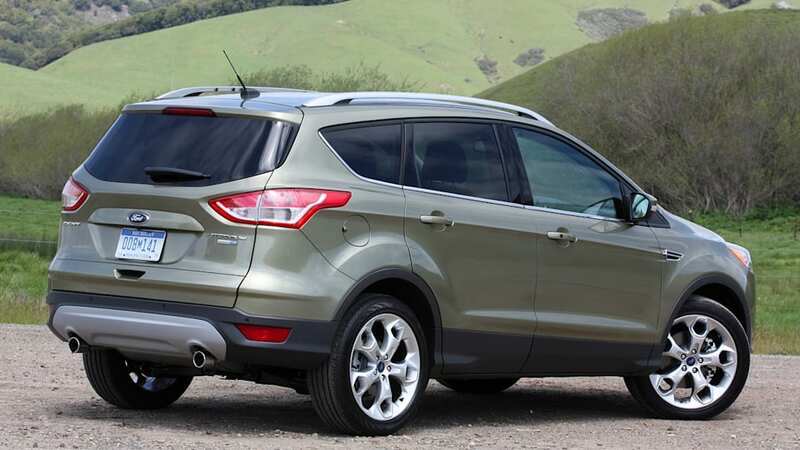 Building upon that success, Ford announced that with 60,000 units sold in the first quarter of 2012, the Escape posted its best Q1 numbers in its 11-year history. Talk about going out with a bang. 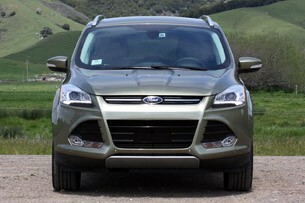 But rather than sticking to the original formula of a small, trucky crossover, Ford has completely redesigned the Escape for 2013. Perhaps the biggest point of contention surrounding the new model is its styling – the two-box, upright design has been ditched in favor of the automaker's Kinetic language, employing a more, shall we say, Focused appearance. So here it is, the ever-important third album. Does Ford's all-new Escape have enough mainstream appeal to take on the best and brightest of the CUV set while still being able to appeal to loyalists? We headed to the roads around San Francisco to find out. 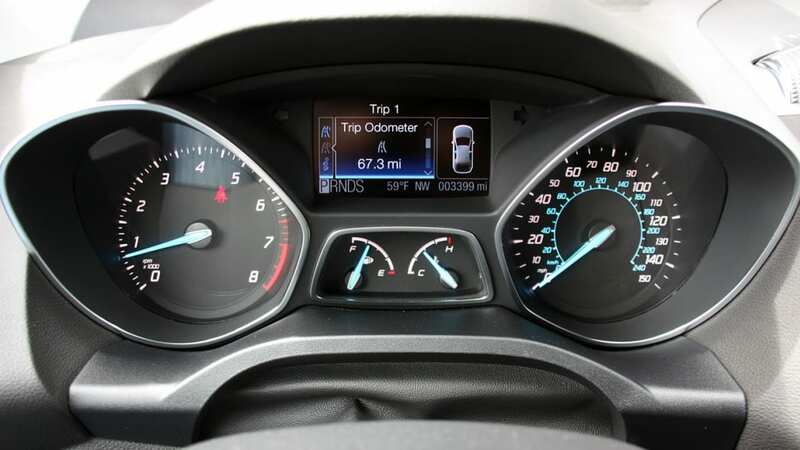 From where we sit, it seems unlikely that buyers would take issue with the 2013 Escape's new, more efficient powertrains, improved refinement and spiffy new technology. 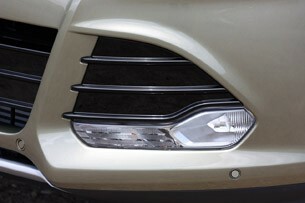 Where we can see a lot of eyebrow-raising, however, is in the Escape's design. Now, we'll go on record as saying that we like the looks of the new model, but part of the reason we suspect the Escape was selling so well in 2011 (aside from low prices, of course) was because there are plenty of shoppers who actually preferred the rugged, SUV-like design versus the new crop of sleeker, more car-like CUVs that have come to market. 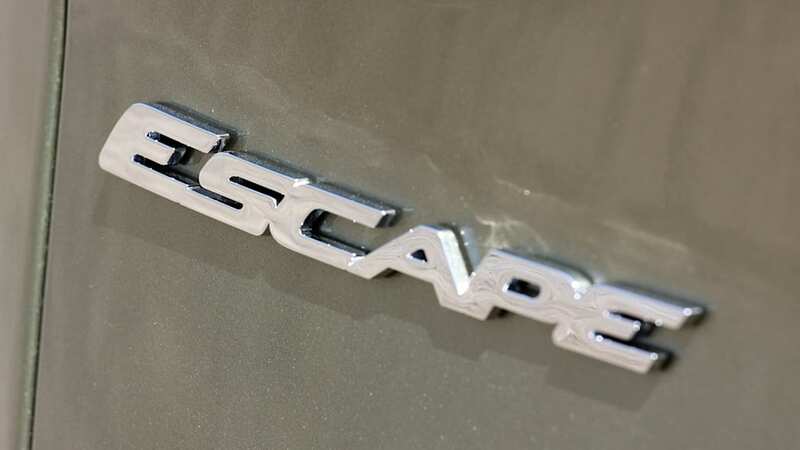 But think about it: The current Escape wears one of the oldest designs in the entire Ford portfolio. 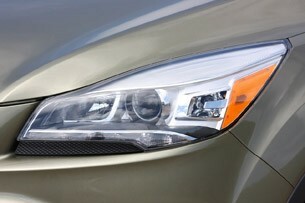 And while the automaker understands that loyalists really valued and appreciated the SUV-ness of the outgoing model, the company is "confident that [the new] design resonates with target customers," according to Hau Thai-Tang, vice president of engineering for global product development. 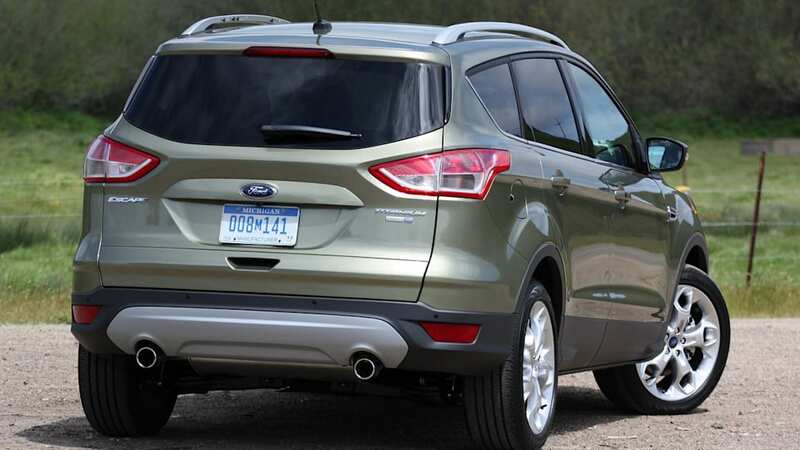 Versus the outgoing model, the 2013 Escape is 3.4 inches longer, half an inch wider and 3.8 inches shorter in height. The new car also rides half an inch closer to the ground, making ingress and egress much easier. This is now the tenth model to be built on the automaker's global C-segment platform, so with that in mind, it's no surprise that the crossover looks more like a Kuga-fied, lifted Focus than anything else. 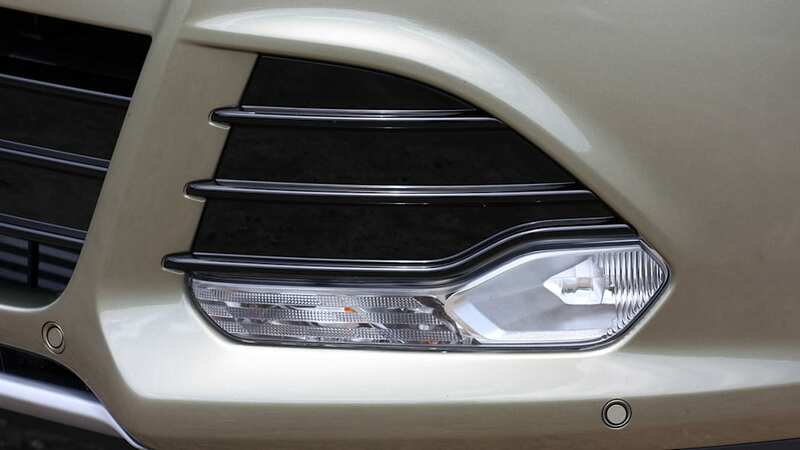 It's really handsome, especially in the higher-end SEL and Titanium trims, where features like large 19-inch alloy wheels (17s are standard on the S and 18s are available elsewhere) give it a commanding stance on the road and little details like LED running lamps (only available with the optional HID headlamps) and the polished black grille inserts make it look premium and upscale. 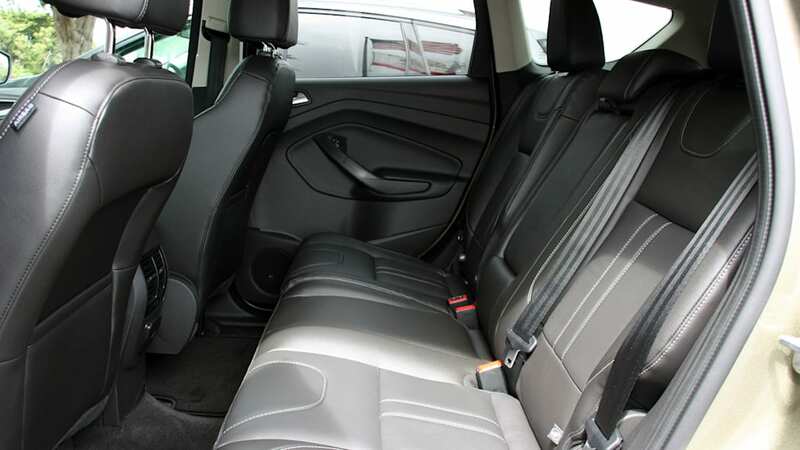 Speaking of upscale, get a load of the Escape's cabin, especially in the fully tricked-out Titanium trim. The old model's interior was never a bad place to sit in, with a well-thought-out design to the center stack and controls, and a purposeful, if plain, appearance. 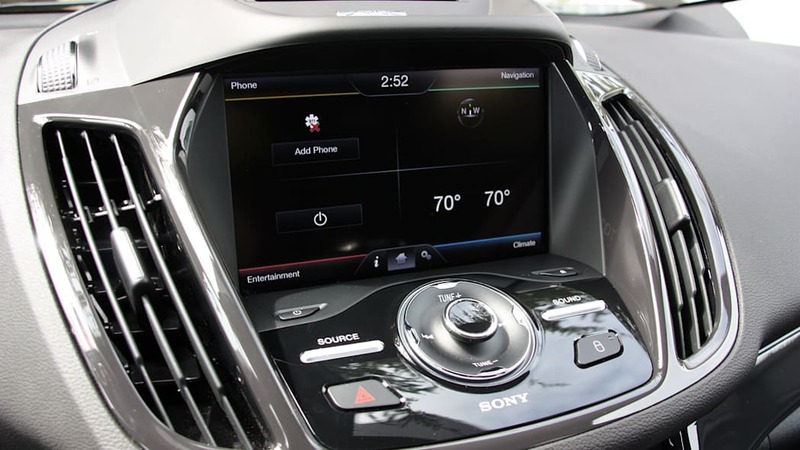 For 2013, the interior is awash with brightly colored displays and simple clusters of buttons and knobs, all revolving around the MyFord Touch infotainment system and its large, eight-inch screen. 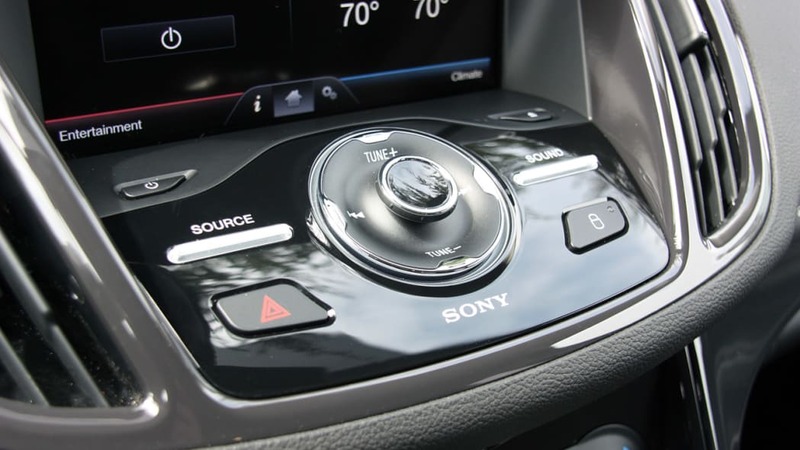 We're curious to see what the Escape's center stack looks like without the MyFord Touch interface, but assume it's very close to the button-heavy layout found in the Focus. 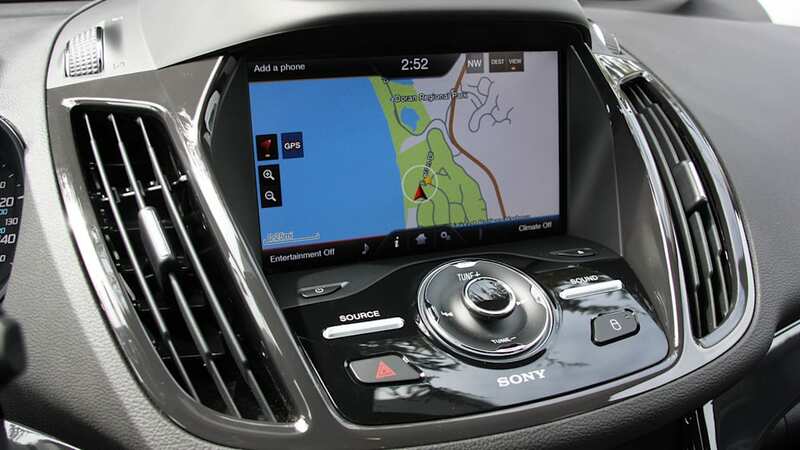 In general, the Escape's interior is comfortable, pleasant and, more importantly, quiet. At highway speeds, there's a bit of wind and road noise – nothing out of the ordinary, though – but at lower speeds, it's librarian-approved silent in there. 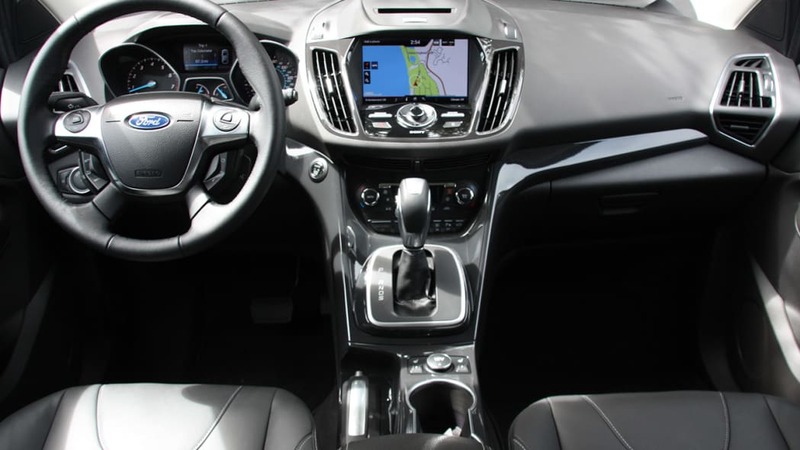 Visibility is good from all angles, but even so, Ford offers the Escape with a host of safety goodies like a rearview camera, cross traffic alert, blind spot monitoring and active park assist to keep you from dinging into cars, shopping carts, poles and people. 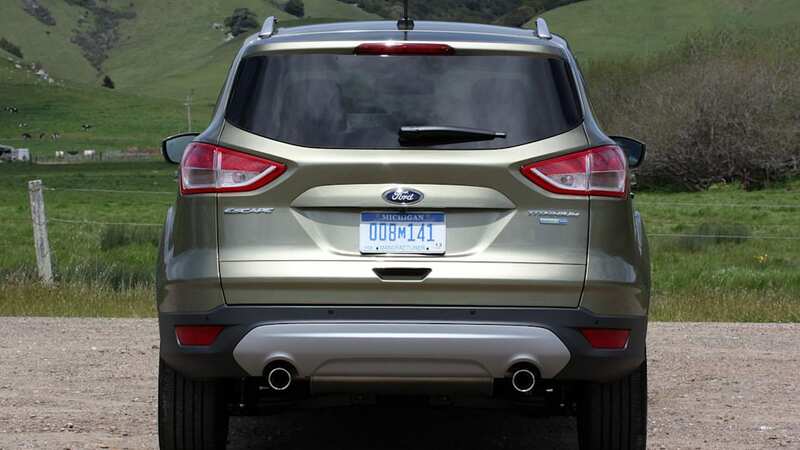 There are plenty of functional benefits to the Escape, too, including the hands-free liftgate system that we've showed you before. 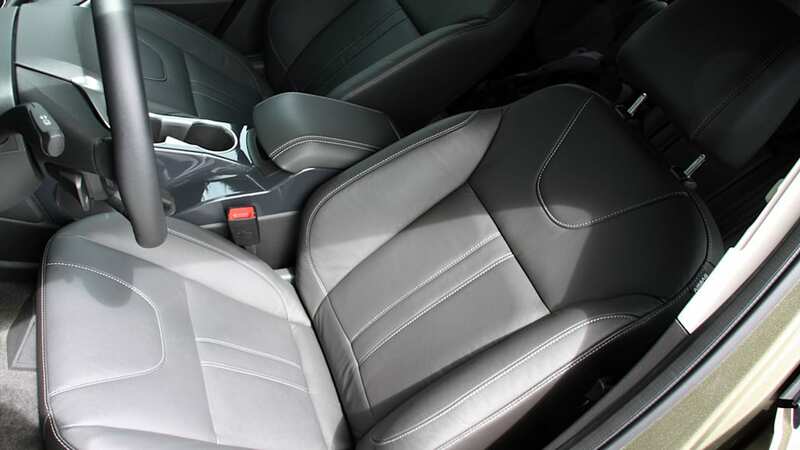 Fold the rear seats down and you'll have a full 68.1 cubic feet of cargo space – nearly one cubic foot more than the outgoing model. 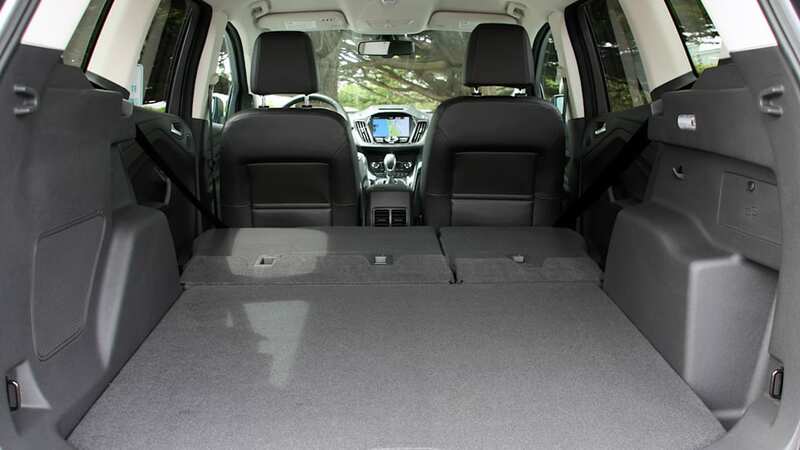 That doesn't quite compare with the 70.9 cubic feet offered in the Honda CR-V, but it's better than the 63.1 cubic feet that you'll get in the Chevrolet Equinox. Check out the video below to see how the hands-free liftgate works one more time. 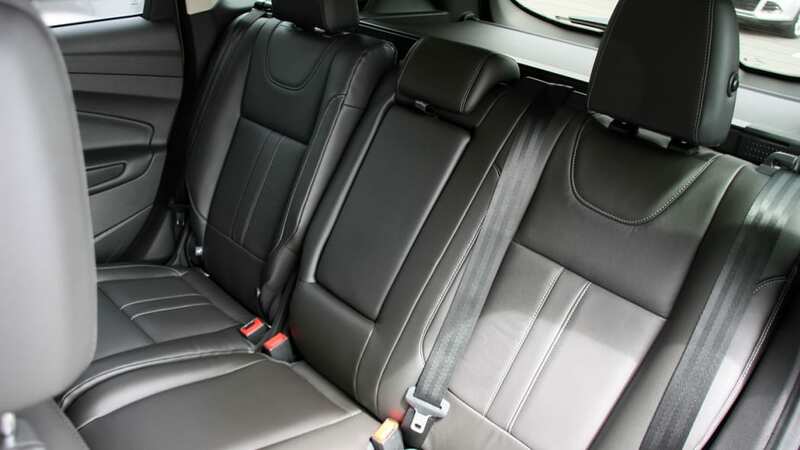 Our Titanium tester offered full leather seating and trim, all in black in this case. There's some aluminum brightwork around the air vents and some contrasting gray plastic around the center stack, but really, we'd appreciate some more two-tone interior options in here. 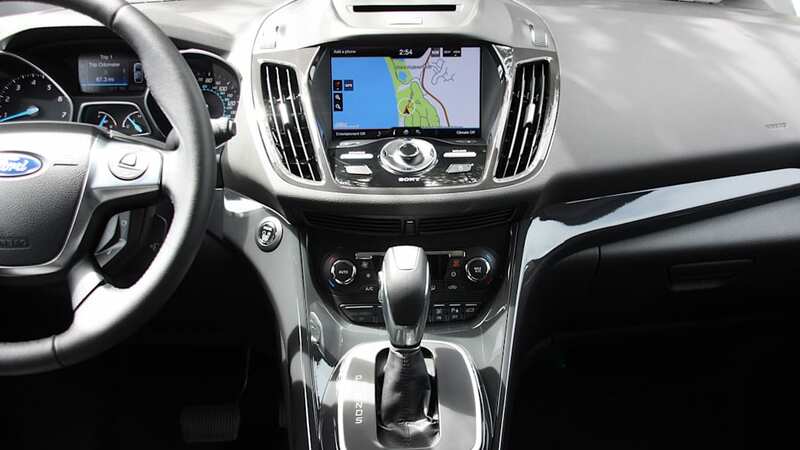 As a whole, the cockpit looks nice, but compared to what we see General Motors doing with two-tone interiors these days, Ford could certainly stand to broaden its color palette a bit. 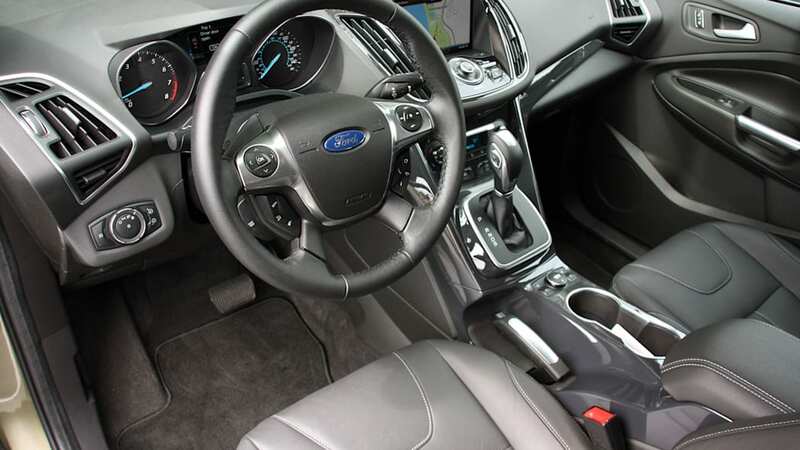 Ford has certainly packed the Escape full of technology and premium niceties, but you'd be right to expect things like heated seats, dual-zone climate control and a premium audio system at the $31,000 starting price of the Titanium model. 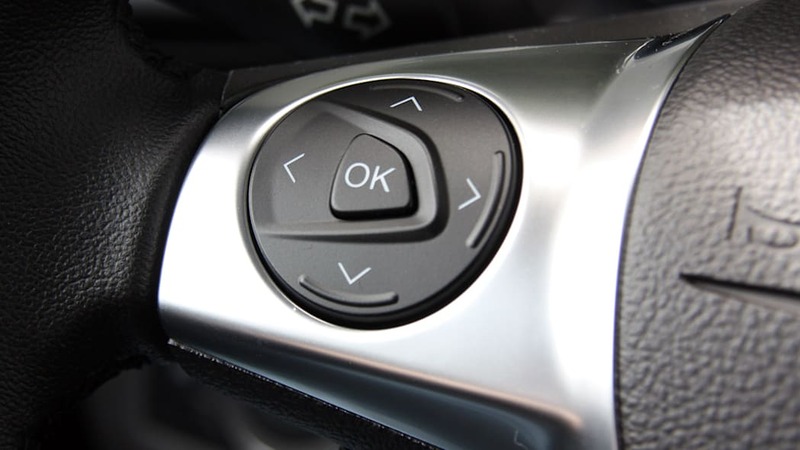 One key omission, however, is a lack of power adjustments on the front passenger seat. What's more, you can't even manually adjust the height. It might seem like a small thing to criticize, but it's one of the first things we noticed during our test. 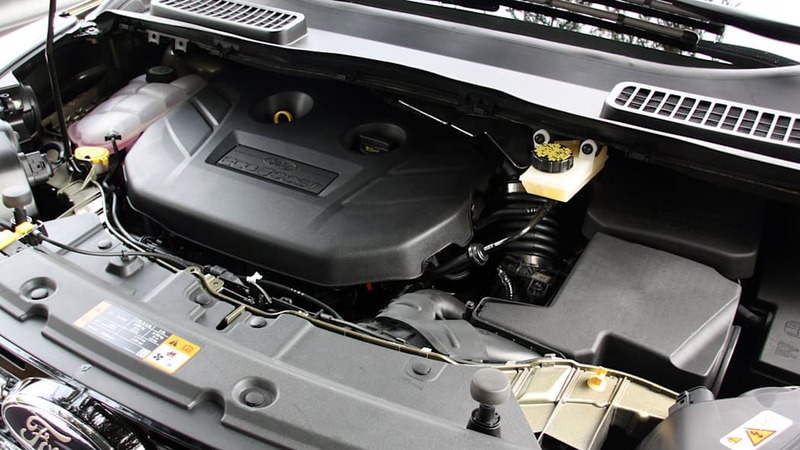 But enough nitpicking, let's get to the good stuff: what's under the hood. 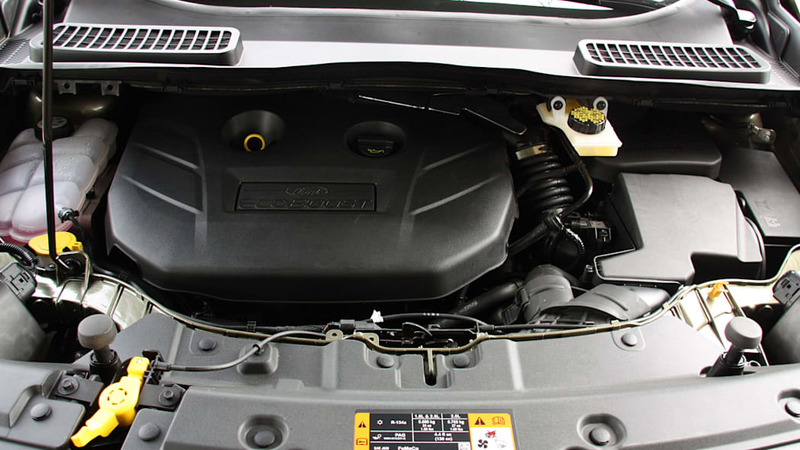 For 2013, there are three engines available across the Escape range, starting with the naturally aspirated 2.5-liter inline four-cylinder only available on the base S model with front-wheel drive. This is a slightly reworked version of the 2.5 offered on last year's model, though it now puts out 168 horsepower and 170 pound-feet of torque, solely offered with a six-speed automatic transmission. 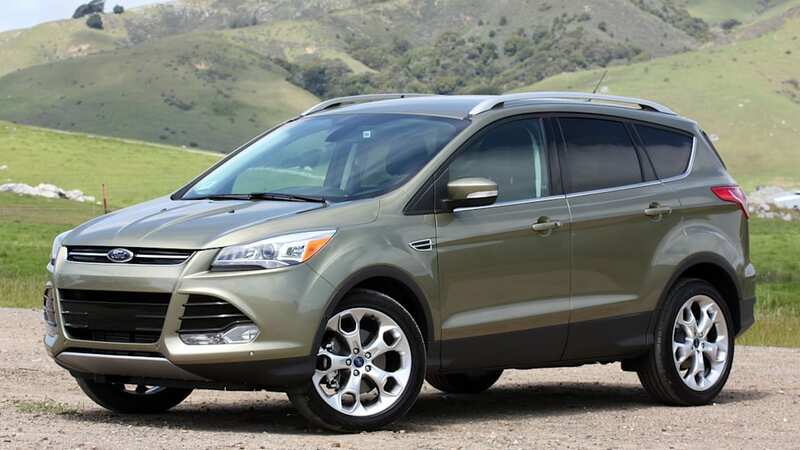 Ford says it only expects the 2.5 to account for about 10 percent of overall Escape sales, and as such, none were available for us to test during our time in California. 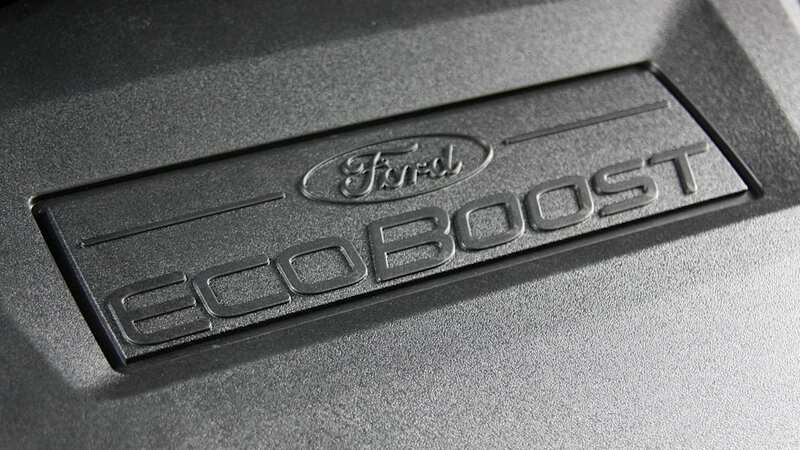 The majority of Escapes you'll see on the road will have EcoBoost power – part of Ford's strategy to offer turbocharged engines on 90 percent of its models by 2013. 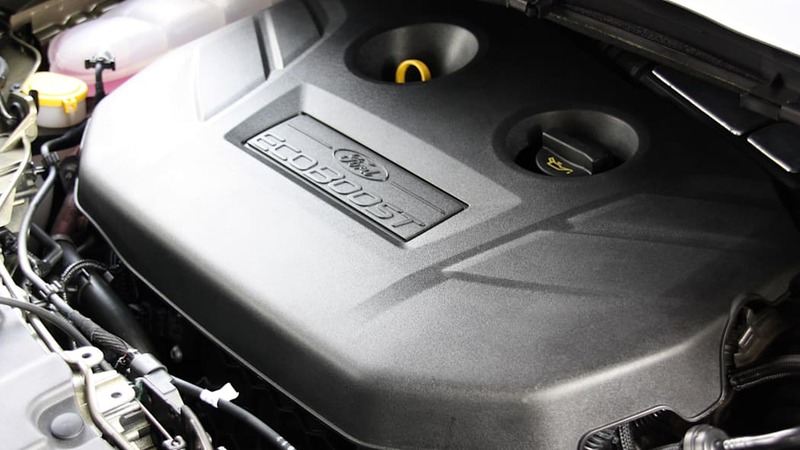 The standard engine on the volume SE and SEL models is the all-new 1.6-liter EcoBoost four-cylinder, good for 178 hp and 184 lb-ft and also mated to a six-speed automatic (read: not the dual-clutch PowerShift that's been so poorly received in the Focus and Fiesta). We didn't have a chance to test the 1.6 while in San Francisco, but other journalists we talked to said that it was plenty powerful, and aside from feeling slightly sluggish during aggressive canyon climbs, it was absolutely adequate for 95+ percent of small-CUV driving scenarios. 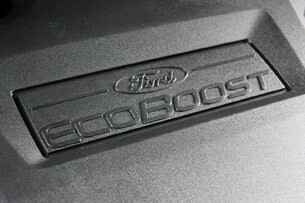 The big win for the 1.6 EcoBoost, though, is fuel economy. 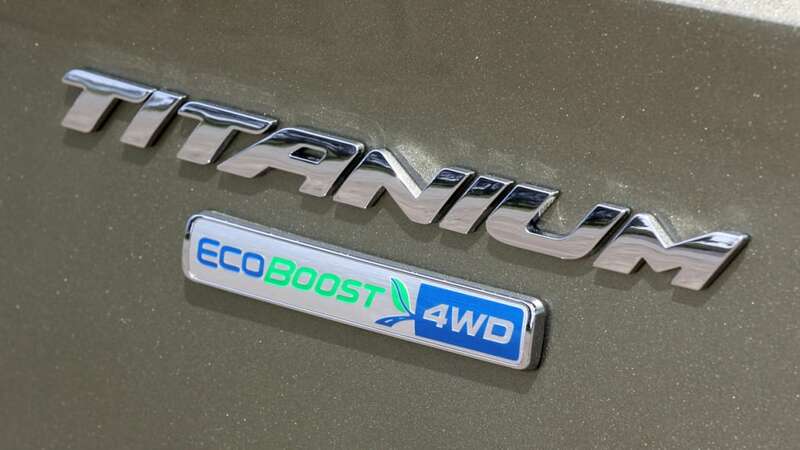 Ford is still awaiting official EPA ratings, but this smaller turbo-four is expected to achieve 24 miles per gallon in the city and 33 mpg on the highway – class-leading stuff for automatic-equipped CUVs. 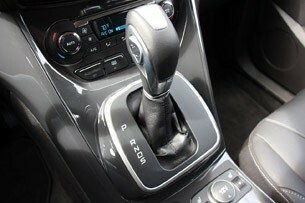 Only the 2013 Mazda CX-5 with its six-speed manual 'box is more efficient. 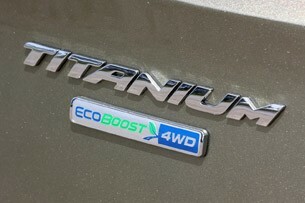 Available on the SE and SEL, and standard on the Titanium, is the range-topping 2.0-liter EcoBoost four – a version of the one currently offered in the Edge and Explorer. 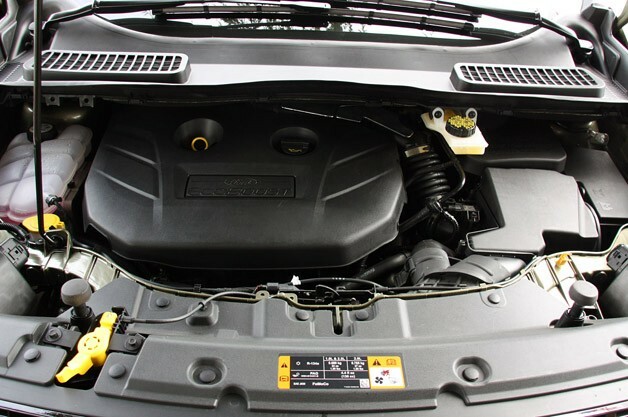 In the Escape, the larger turbocharged four-cylinder is good for 240 hp and 270 lb-ft of twist – that's the same amount of horsepower as the naturally aspirated 3.0-liter V6 of the outgoing Escape, but the new powerplant offers a healthy 47 more pound-feet of torque, the peak of which is available at 3,000 RPM. 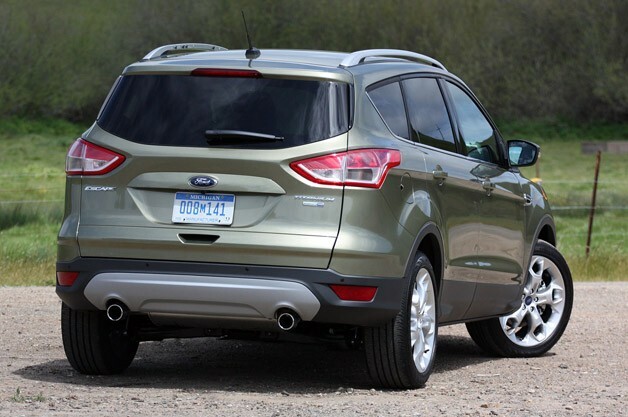 Versus that old 3.0-liter, the new Escape with the 2.0 achieves 4 mpg better city fuel economy and 7 mpg better highway economy – 22/30 in all. 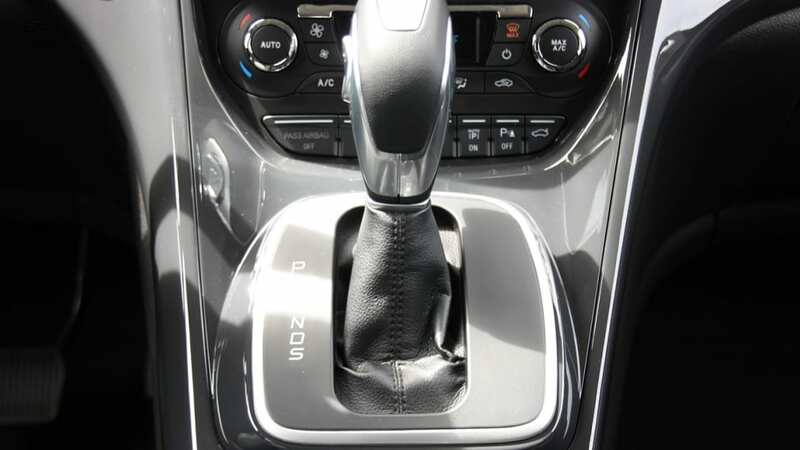 Again, a six-speed automatic is what's offered here, and like the 1.6-liter EcoBoost, the 2.0-liter engine can be matched with either front- or all-wheel drive. 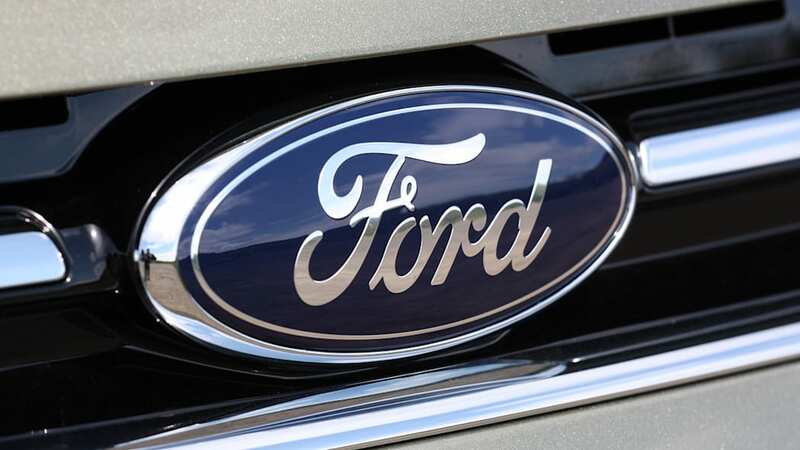 We asked Ford about the possibility of an Escape Hybrid or even a plug-in model, and were told that there are no plans to offer such a thing, if only because of the upcoming C-Max Hybrid and Energi models. 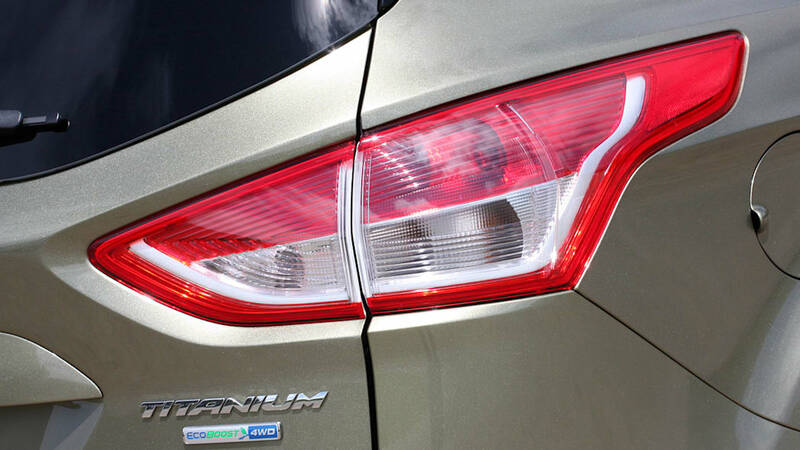 We spent an afternoon driving the 2.0-liter AWD Escape around the highways and curvy forest roads of northern California and really fell in love with this vehicle's dynamics. 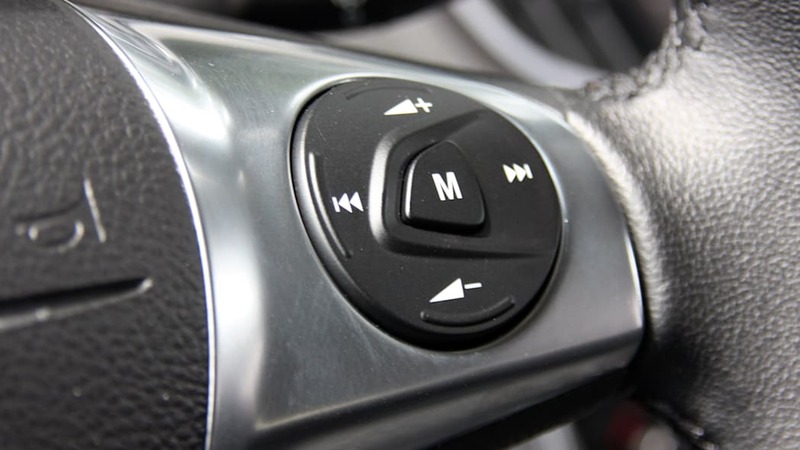 Off the line, there's plenty of grunt from the EcoBoost four, and while the six-speed automatic will default to the highest gear whenever possible, driving the car in Sport mode (one notch below 'D' on the shifter) will make it more eager to hold a gear or actively downshift while decelerating. 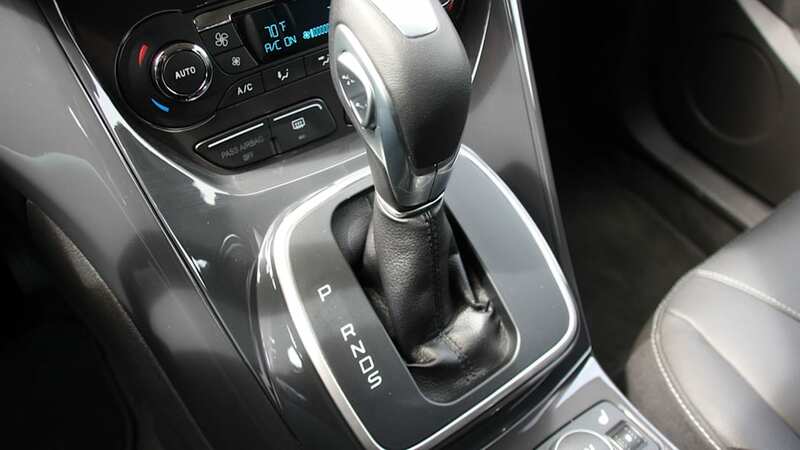 During highway cruising (not in Sport mode), the transmission has a tendency to jump between sixth and fifth gears even when you're just lightly tipping into the throttle, but we're told that's because sixth is essentially an overdrive setting. If you really need passing power, it'll jump down to fourth. 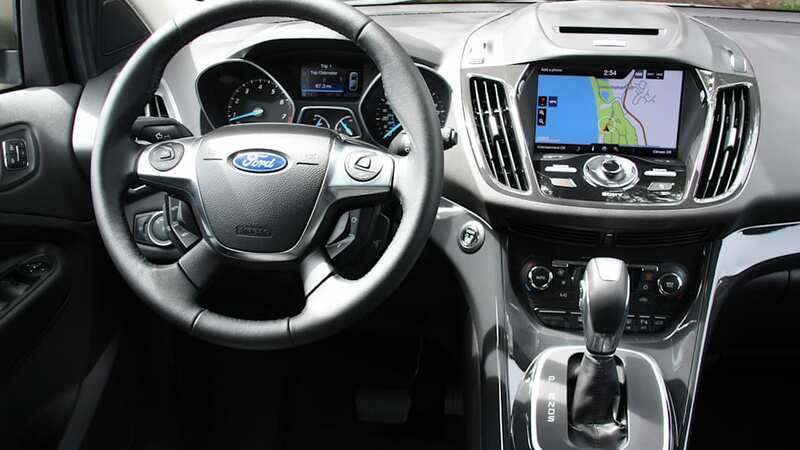 Ford does not offer paddle shifters on the Escape, but you can switch through the gears yourself via two buttons on the left side of the gear shifter. As far as handling goes, those who actually liked the stiffer, trucky ride of the outgoing Escape will feel right at home in the 2013 model. 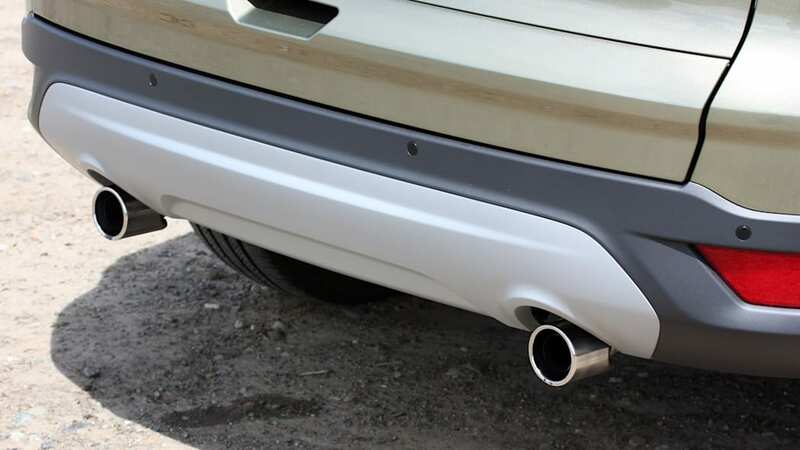 Ford told us that its customers actually prefer sportier, engaging suspension setups, and that's why it opted to offer this level of stiffness on the Escape. 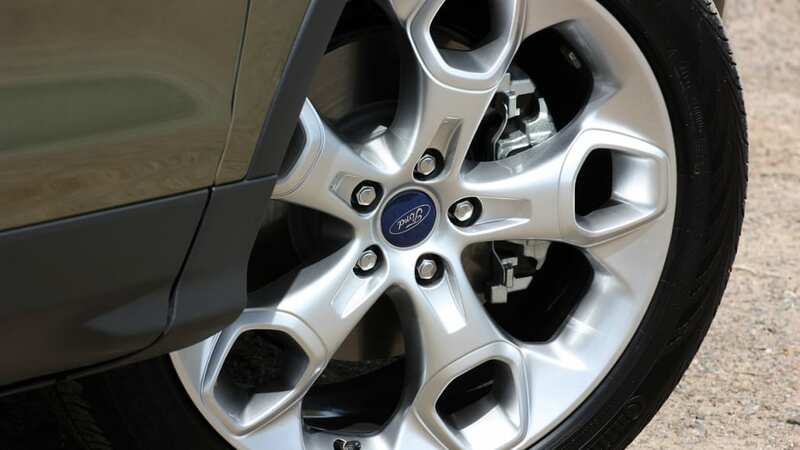 And since this is a global vehicle, Ford had to create a suspension that would not only appease us Americans, but its more enthusiastic European Kuga buyers as well. That said, we found the Escape to be quite rewarding from behind the wheel. 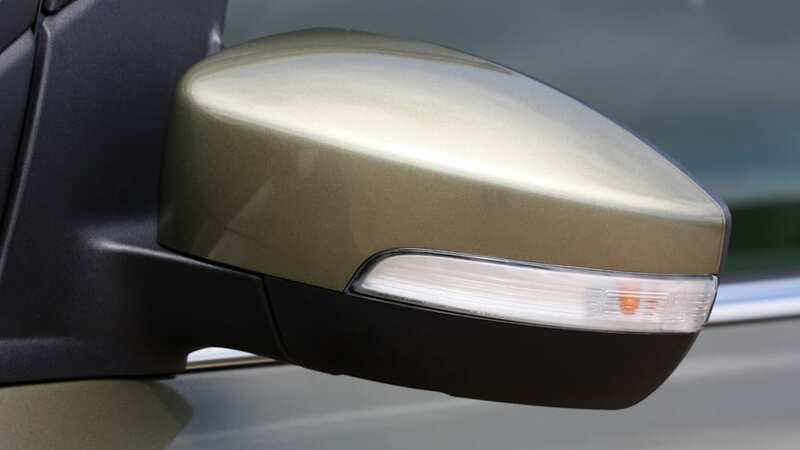 The steering, while somewhat artificial feeling, offers good amounts of feedback and is quick to respond at turn-in. 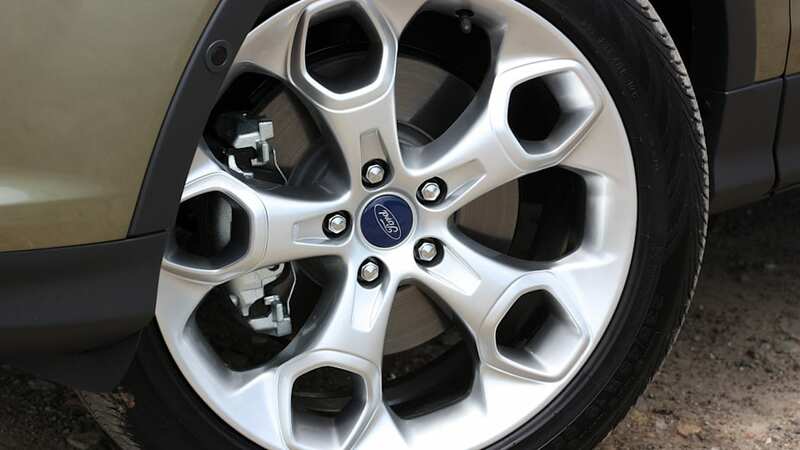 Ford offers its curve control and torque vectoring systems on both the front- and all-wheel-drive Escapes, and combined with the revised full-time AWD setup that actively monitors road conditions and traction faster than you can blink an eye, the Escape is at once engaging, stable and confident out on the road. It's really, really good. It's not quite as light on its toes as the Mazda CX-5, but as a whole package, the Ford is probably the one we'd have – if cost weren't an option. And that's the big caveat: pricing. 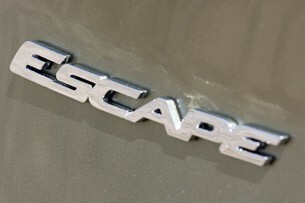 The base Escape S FWD model starts at $23,295 including $825 for destination, but it quickly escalates from there. Tick every box on a fully kitted-out Titanium AWD model and you'll hit $37,000 with no problem. Sure, a similarly equipped Chevy Equinox will run in the mid-$30K range, too, but spec out a more powerful (but smaller) Kia Sportage Turbo with every option and you'll only top out around $33,000. And while the Escape is really good at what it does, we aren't immediately convinced that we'd shell out the extra cash versus the Kia. Since the SE ($25,070 starting) and SEL ($27,870) models will likely account for the majority of all Escape sales, that means the average transaction price should land around $30,000 when everything's all said and done. 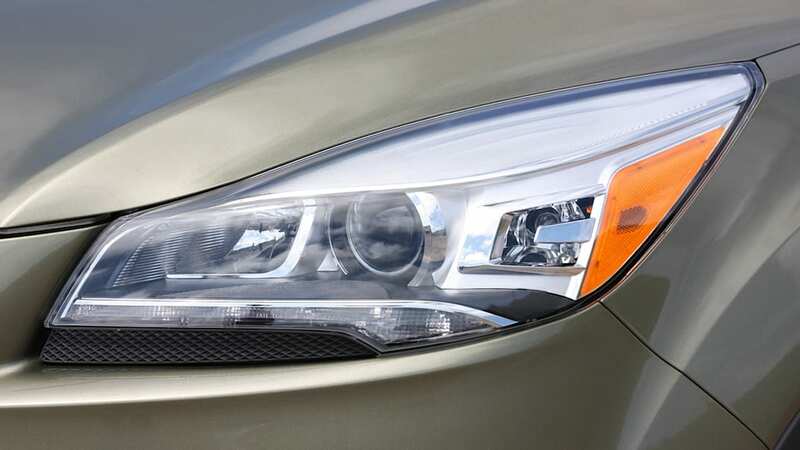 In terms of base pricing, this isn't a drastic departure from the 2012 model, which started at $22,265 including destination (and without the killer incentives that have made it so popular). 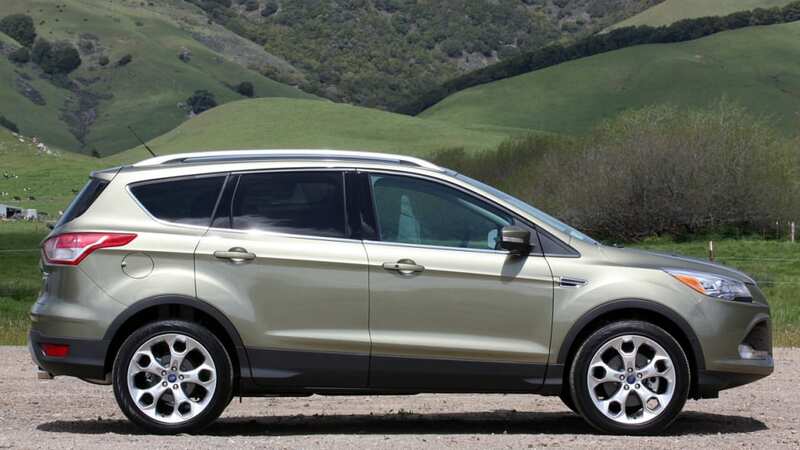 Granted, the volume XLT and Limited models command $25,695 and $27,195 respectively, but it's clear that Ford is trying to move the 2013 Escape more upmarket, especially by now having four trim levels. When you consider the added power, technology and refinement, it's definitely worth it, but we're curious to see how customers react to the higher final transaction prices. 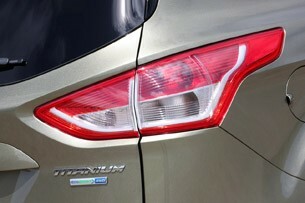 We're also curious to see what the 2013 Escape's first year of sales will look like. On one hand, it's a compelling new product that will be among the best in its class, but it's pricey. 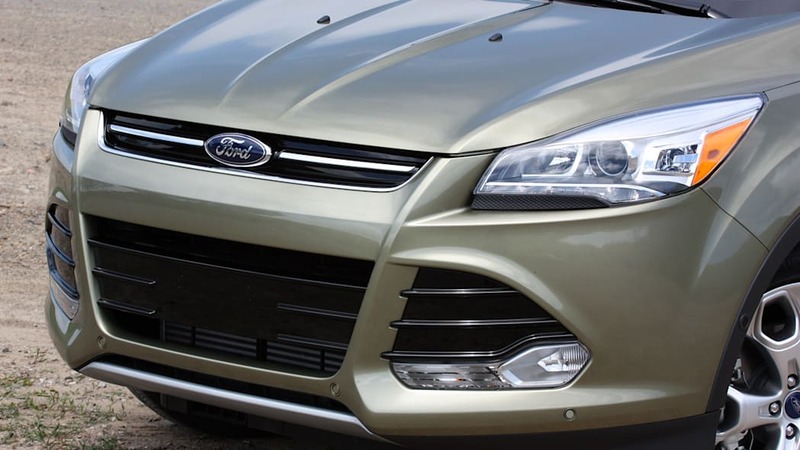 On the other hand, it strays very far away from the Escape that people currently know and love, but it's a more competitive, forward-thinking vehicle that falls in line with the rest of the Ford family. It might be a slightly different style of music, but the Ford Escape's third album is one that we'd love to listen to all year 'round.